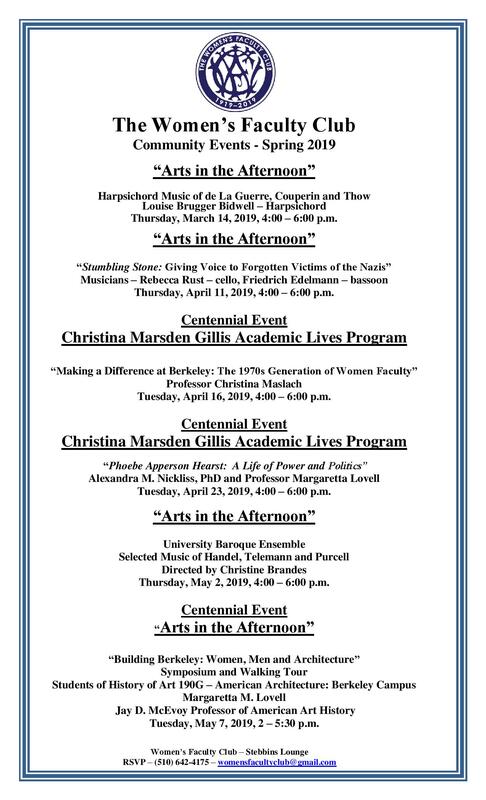 Click here to view our “Arts in the Afternoon” flyer. 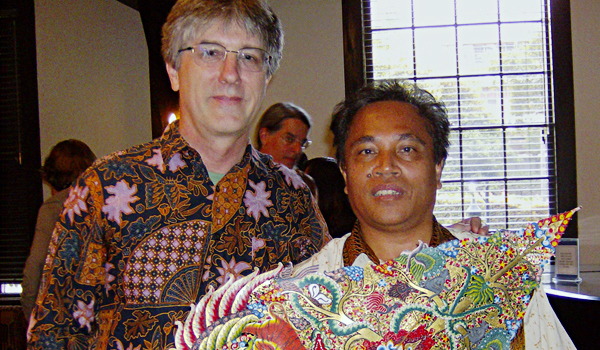 “Arts in the Afternoon” was also launched in 2008 and features complimentary concerts and/or visual presentation of the arts at UC Berkeley. 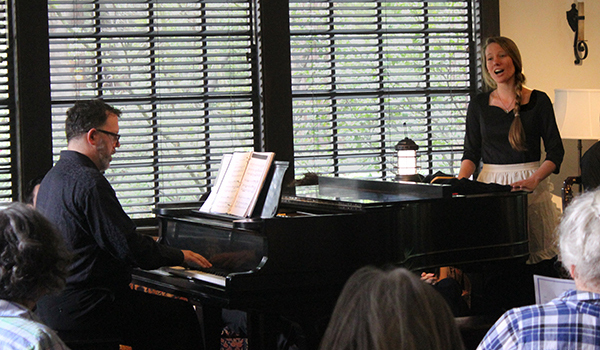 Many student musicians and groups have had the opportunity to perform in the intimate setting of the Stebbins Lounge. Every musician who has played in the Lounge has been thrilled with the quality of the acoustics. 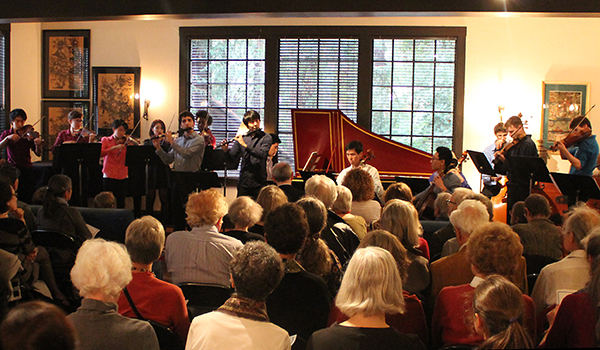 Professor Davitt Moroney has said that these concerts provide an excellent venue for students to experience performance in an intimate—“salon” setting—similar to the settings in which much Baroque music was originally performed. 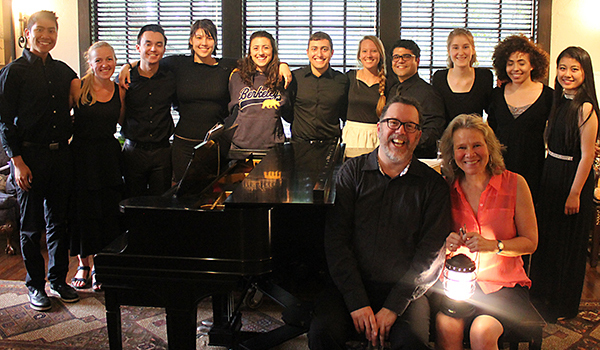 Past performances have included the University Baroque Ensemble, Young Musicians Program, chamber music ensembles from the University Symphony, groups of singers from the University Chorus and jazz musicians. In addition to music we have had programs representing a wide variety of other visual arts programs. We celebrated the 90th Anniversary of the Club’s founding with a series of events which focused on John Galen Howard, the Club’s architect and a primary architect of the entire campus. 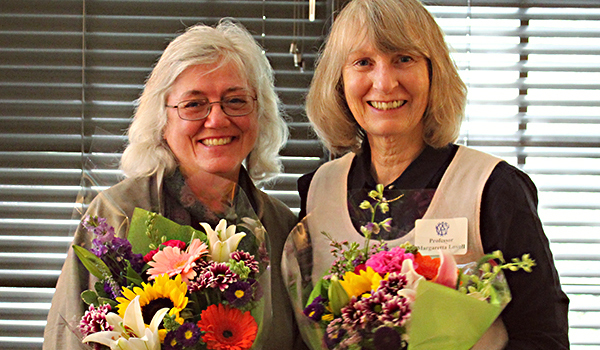 Margaretta Lovell, Jay D. McEvoy Professor of American Art History, led seventeen undergraduates in a class titled “Access, Archives and Architecture: John Galen Howard and the University of California Berkeley’s Women’s Faculty Club.” The class ended with a symposium which was a featured “Arts in the Afternoon” program. The students shared many tales they had gleaned from their intense research and then divided the audience into sections and led them on tours of each quadrant of the campus showcasing the existing John Galen Howard buildings in each section. The symposium kicked off a series of events focused on Howard’s architectural legacy. The Environmental Design Archive hosted an exhibit of Howard’s drawings and memorabilia and a special “Arts in the Afternoon” program was held off-site as we toured a Howard designed house in the Berkeley hills. We have been able to enjoy the new patio for a jazz concert and look forward to continuing to find new programs that work well in the outdoor space. All programs are complimentary and open to the entire campus community. Programs are followed by a reception which allows artists, presenters and guests to interact. 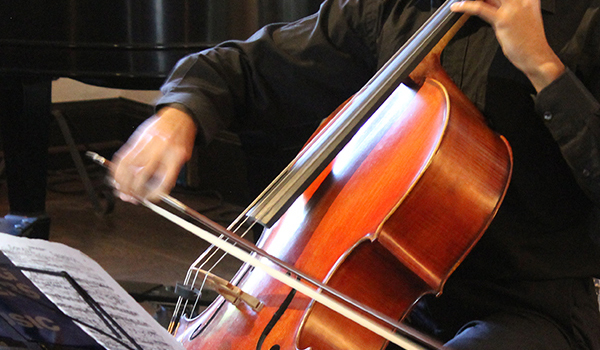 Arts in the Afternoon Events are complimentary and open to the campus community. Priority reserved seating is available for Club Members.